Every state requires that LLCs registered under its law designate a registered agent (sometimes called a “resident agent” or “statutory agent”.) This agent must occupy a physical location within the state, and serves as a representative of the company for receiving government documents on behalf of the LLC. The most likely documents the registered agent would be responsible for handling would be tax forms and notices of lawsuits. If you are forming an LLC in the same state in which your business operates, you may choose be your own registered agent and receive documents under your business address. You will find that this is a very common arrangement. Even if you are operating your business out of your home, you can designate your home address for receiving this government correspondence. When do you need to pay for a Registered Agent service? 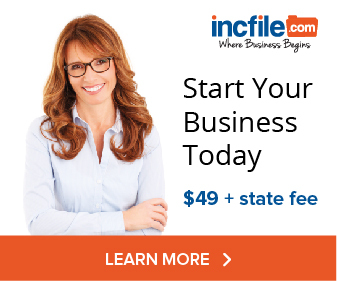 If you don’t have a physical location in the state where you have formed your Limited Liability Company, you will need to appoint a registered/resident agent within that state to receive your official documents. Many companies will, for a fee, provide these duties for you. If you would like to hire a company to provide registered agent services, it is important that you choose a reputable company. You do not want to run the risk of choosing a company that will accept your money, but then not deliver, for example, the notice of a lawsuit against your business in a timely manner. YOU are responsible for choosing your registered agent company wisely. The last thing your business needs is to have a default judgment issued against you in court because your registered agent failed to notify you of a lawsuit. Choose an agent that operates responsibly and does not run the risk of closing down without you being aware. Q. If I choose to be my own registered agent, are there particular forms I must fill out, is there a fee, and can you provide a link to the form? A. When you form your Limited Liability Company by filing Articles of Organization, one of the items on the Articles of Organization is listing your registered agent. To be your own registered agent, you will enter your own name and a physical address within the state in which your LLC is formed. A physical address is required, and P.O. boxes are not acceptable. Q. If I choose someone else to be my LLC registered agent, what is a fair price for these services? A. Pricing for registered agent services is typically around $100/yr. Many LLC formation providers will bundle the cost of their registered agent services with the cost of having them form your business entity. Q. How often should I expect a good registered agent or agent company to communicate with me? A. A good registered agent will immediately forward any document it is served with relating to your business. One of the main functions of a registered agent is to receive what is called “service of process”. Essentially, this refers to court documents. For example, if your LLC is sued, the plaintiff will have your registered agent served with the summons. Because court documents are time sensitive and require responses within set time limits, a good registered agent will immediately forward such documents to you. Q. What is a fair price for commercial registered agent services, and are there a range of services that might be offered? Would hiring them for these extended services be beneficial to me as a business owner as far a saving me time, money, etc.? A. This depends on the type of additional services. Some registered agents will add services such as receiving all your business mail, opening, scanning and emailing it to you. Q. Legally, are there ways in which I might be better protected hiring a company to be my registered agent rather than performing this duty myself? If you are your own registered agent and are listed under your home address, a process server or sheriff will serve court papers to you at your home if your LLC is ever sued. The names and addresses of all registered agents is public record (see below). This may cause problems for you in the event of a disgruntled client or customer. Furthermore, there are companies that purchase the names of all new registered agents, compile them into mailing lists, and sell them to “junk mailers”. Therefore, if you use your home address when you file as a registered agent, you will receive a flood of junk mail at your home. According to the law in most states, someone is required to be available at the listed address during normal business hours to receive legal documents. 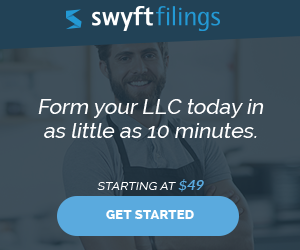 While I have not seen a court opinion on this issue, it’s arguable that having a separate registered office address for your entity could help establish that your LLC is truly separate from you personally and would reduce the possibility of the corporate veil being “pierced.” This is particularly important for home based businesses, and single member LLC’s. The more you can show a separation of your personal life from your business, the less likely a creditor can pierce your corporate veil. The identities of members and often officers of LLC’s are not generally public information (this varies by state). If you become your LLC’s registered agent, you will be giving up this level of privacy, and your association with the company will be exposed. Some people do not consider this an important factor, but others may highly value their privacy. You don’t have to be doing anything illegal or unethical to want privacy. For example, suppose you are a well-known commercial real estate investor. You form an LLC under a new name to quietly acquire land for a new development. If you act as your own registered agent, anyone searching for your name, or the name of your LLC, could discover your involvement. This, in turn, may cause a seller (knowing that you have big plans for his property) to raise his price. Most state’s Secretary of State (or equivalent) website’s allow anyone to search a company or LLC name and find out the address of the registered agent. Also, there are several companies compile the information from Secretary of State’s records and resell this information as a mailing list to direct marketers. Once you incorporate or form an LLC, you will find yourself receiving everything from credit card offers to promotional gift catalogs and packaging supply catalogs. Many home business owners, even though they “work” out of their home, they get their mail at a post office box. This gives a measure of privacy. The problem with a PO box? Most states do NOT allow PO boxes to be used as a registered agent location. Therefore, unless you use a registered agent you are stuck either using your home mailing address which is a public listing that anyone online can look up.